Published: Nov. 12, 2017 at 03:50 p.m. 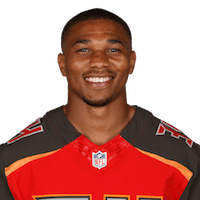 Published: Nov. 12, 2017 at 03:43 p.m.
Tampa Bay Buccaneers Charles Sims takes pitch on third-and-15 for first down. Published: Sept. 25, 2016 at 07:14 p.m.
Tampa Bay buccaneers running back Charles sims breaks free for a 23-yard run. Published: Sept. 25, 2016 at 04:55 p.m.
Tampa Bay Buccaneers running back Charles Sims runs up the middle for the 1-yard touchdown.